I'm a real sucker for easel cards Pat and the colours on this one ticks the boxes for me as well. Sorry to have been missing this week, we were without phones and internet from Monday until yesterday PM - nightmare. 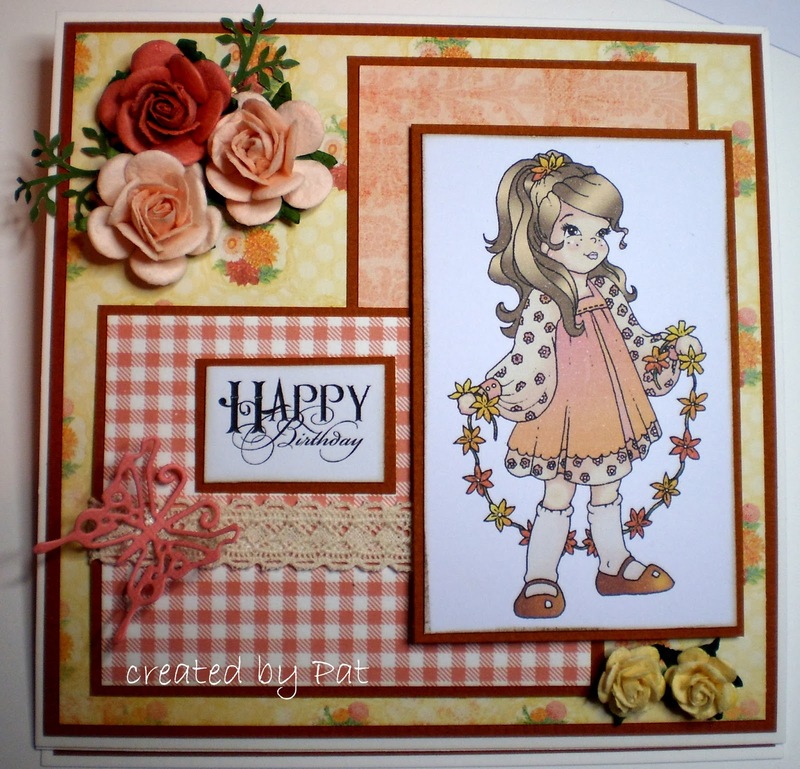 Gorgeous easel card Pat, love the pretty colours. Beautiful easel card, gorgeous colours & love that image! Hope you're having a lovely weekend! This is gorgeous Pat, I love the sweet image, beautiful papers and pretty detailing too. Wonderful card with pretty colors. I have never made an easel card but your beauty sure makes me want to try! Absolutely darling! Heidi is going to LOVE it! This is just stunning hun, Heidi is gonna treasure it! Your easel card is beautiful, Pat. I love the adorable image and the roses are pretty. All of the best for the New Year. This is like a breathe of fresh air seeing this gorgeous card Pat I adore that image also the wonderful colours stupendous work.